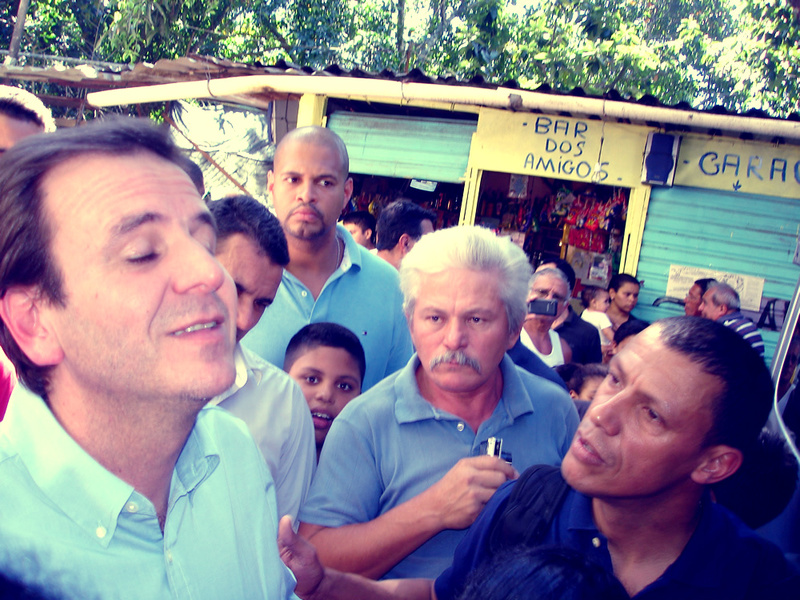 Eduardo Paes finally Visits Laboriaux, our community, which he condemned, in its entirety in 2010 for eviction. After three years of protests, campaigns and organized demanding of rights the residents of Laboriaux finally pressured him to visit the community. He promised in front of dozens of cameras and eagerly listening residents that not one more house would be removed in Laboriaux and that he was going to authorize the State government to begin urbanization projects in Laboriaux as part of the federal-state government PAC 2 program. It is hard to take this man at his word, considering how frequently he changes his mind, but this was certainly a victory for Laboraux and indeed Rocinha and shows how important it is for communities to be organized when faced with threats against their rights as citizens. Next Post: From Eviction to Investment – How the community of Laboriaux fought against eviction and won.